Online loans just got bigger and better! We’re changing the rules of the game, and we’re doing it just for you! We’re making credit of £1,000 – £25,000 more accessible, more affordable and by far more reliable for people in the UK, and all it takes is a 3-minute application form. Forget payday loans, avoid expensive overdrafts and ignore pushy companies trying to sell you loans over the phone. Apply with Personal Loans Now direct lender and put your finances back in order. Enough is enough! 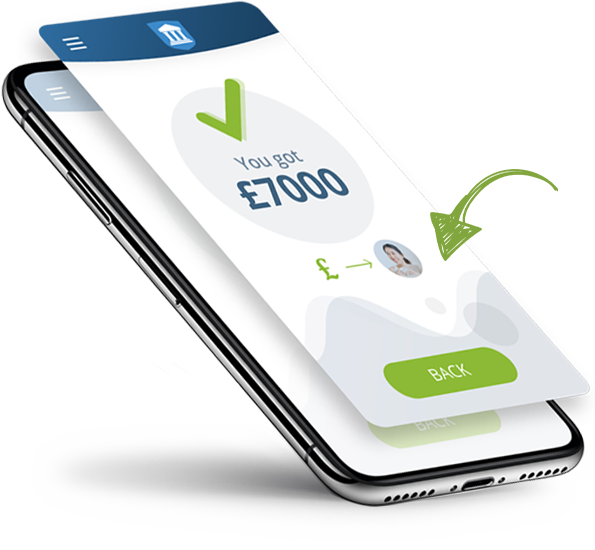 We developed the Credit on Demand mobile application with one goal in mind: To get you the money you need, safe and fast. We explore all available options, so you don’t have to! It’s that simple. You can download the app now, free of charge. Why should you choose one over the other if you can enjoy the benefits of both with one easy application form? Personal Loans Now is a personal loan direct lender, and we’ve already provided cheap loans to thousands of customers in the UK. As a fully authorised and regulated FCA direct lender, we will always start by trying to fund the loan into your bank account ourselves. If this isn’t possible, we will work with Monevo’s panel of premium lenders who specialise in providing all types of loans to get you the money you need fast no matter what your credit score. This will significantly increasing your chances of approval. We developed our website and Credit on Demand mobile application with one goal in mind: To get you the money you need, safe and fast. We explore all available options, so you don’t have to! It’s that simple. We have chosen to work with Monevo’s platform of lenders because they have some of the biggest and best FCA authorised lenders in the UK market, and can offer you with flexible loan terms to meet any cash flow requirements. Our hassle-free online application form takes away the stress of having to carry out extensive loan searches. With just one application, the whole personal loan market is at your fingertips. The entire lending process is online. Our personal loans are unsecured, and there is no application fee. Our average decision time is 90 seconds! Time is money, and we don’t have any to waste. Oh, it is fast. Very fast. Once you are approved and accept the loan offer, the lender will try to get you the money within the hour. Apply now for your personal credit and get an instant decision.